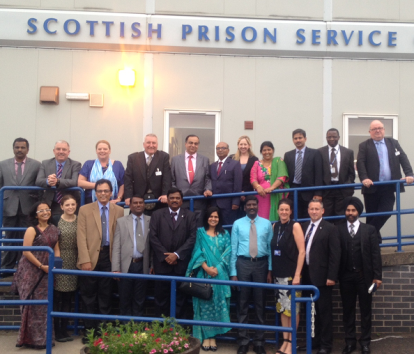 Unlimited visits from families, hand sanitizer for staff and prisoners to improve hygiene and inviting local NGOs to provide prisoners with vocational training: just a few of the ideas that ten prison managers from across India took back from an exposure visit to the UK this June. The visit, which took place from 1 to 14 June, was organised by PRI, the Penal Reform and Justice Association (PRAJA), India, and the Academy of Prisons and Correctional Administration (APCA) based in Vellore, India. 10 Indian Prison Officers (equivalent to the rank of Deputy Governor and above in the UK) and a member of the Ministry of Home Affairs in charge of Correctional Administration took part in the visit, which was the final activity in the project Protecting and promoting the human rights of prisoners in India through new developments in prison management and the administration of justice, supported by the British Foreign and Commonwealth Office. Earlier in the project, three regional ‘training of trainer’ workshops for prison officers had been provided (for more information see here and here), building on a previous pilot workshop supported by UK Aid. 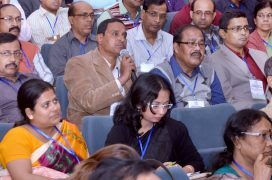 Following these courses ten officers from ten Indian states, who had demonstrated the highest commitment and engagement with the programme, were selected to attend the two-week visit to the UK to give them a chance to learn from the UK system and take back elements of good practice to their regions. The visit started with a week in London hosted by PRI and continued the following week in Scotland, hosted by the Scottish Prison Training College, and in Durham, hosted by Durham University and Professor John Podmore. They attended guest lectures by experts including Professor Andrew Coyle, Professor Nancy Loucks, Professor Andrew Gray, Professor John Podmore and met the Scottish Cabinet Secretary for Justice, Kenny MacAskill. Through these visits, participants learnt about various aspects of the UK prison system, its policies and practice, covering: prison management, categorisation of prisoners, prison security, oversight of places of detention, specific needs of women in prison, reintegration and rehabilitation, mental health and criminal justice, NGOs work inside prisons and advocacy at government level, training curricula for prison personnel, work and vocational training in prisons, therapeutic communities, importance of staff-prisoner relationships for prison management, maintaining contact between a prisoner and their family, and the use of research and development for practitioners, as well as discussing some new and emerging issues such as the use of technology and prison privatisation. Throughout the two weeks, participants were asked to consider what they could learn from the visits, seminars and meetings and how they could use these ideas to bring change into their prison(s). Participants were required to present two concrete plans that they would implement when they returned. Better cooperation with NGOs to provide services to prisoners and assist the prison administration. Training staff on the importance of prisoner-staff relationships both to improve order in the prison and rehabilitation / reintegration of prisoners. Case management and provision of sentence plans for inmates based on their individual needs. Implementation of unlimited visits / interviews with families for prisoners. Introducing vocational programmes to engage prisoners with the help of NGOs or community groups. Use of sanitizer to safeguard hygiene of prisoners and staff. The visit was well received by participants. PRI will support the implementation of participants’ action plans over the next 6 months and continue to engage with the officers and track progress.